Contrary to popular belief, dementia is not a normal outcome of aging, but is caused by diseases that affect the brain. Dementia influences all aspects of mind and behaviour, including memory, judgement, language, concentration, visual perception, temperament, and social interactions. Although dementia symptoms are eventually obvious to everyone, in the early stages special evaluations are necessary to demonstrate the abnormalities. In people over the age of 65, the most common cause of dementia is Alzheimer's Disease (AD). AD is an irreversible, progressive brain disease that slowly destroys memory and thinking skills and, eventually, the ability to carry out the simplest tasks of daily living. The A.P.P.A.C. 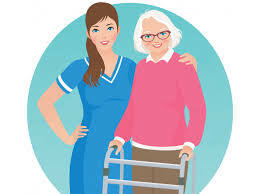 Geriatric and Alzheimer’s Sector aims in promoting knowledge and understanding of AD and works towards achieving a difference in the care, well-being and quality of life for people with AD.